On a trip to England, Karli and Jim Hagedorn were inspired by a program that taught city children about farming. Once home, they created the Farms for City Kids Foundation, a program that brings students from nearby cities, most of whom have never had the chance to travel, up to the farm in southwestern Vermont to spend time learning while helping out. The farm has a small herd of Jersey cows, vegetables, orchards and a maple sugar house that gathers from over 3,000 taps. 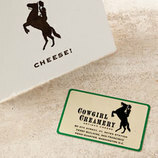 Cheesemaking has recently been introduced as a means of financially supporting the foundation, and the Spring Brook Farm cheese house is designed with a glassed-in viewing area so the students can watch the cheesemakers while they work. 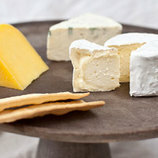 Inspired by the French cheese Abondance, Tarentaise is made from a recipe created by John Putnam at Thistle Hill Farm. 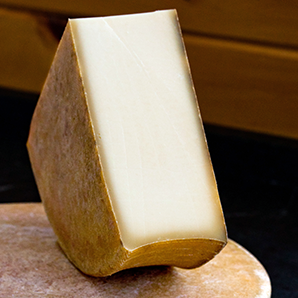 Made in copper vats from traditional methods, Tarentaise is a firm cheese with robust nutty flavors, and a hint of spiciness on the finish. It is wonderful alongside a few slices of speck and a rich brown ale.